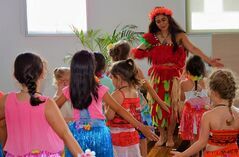 Voyager Parties brings education about Polynesian culture with a pop-culture twist to schools in South-East Queensland. 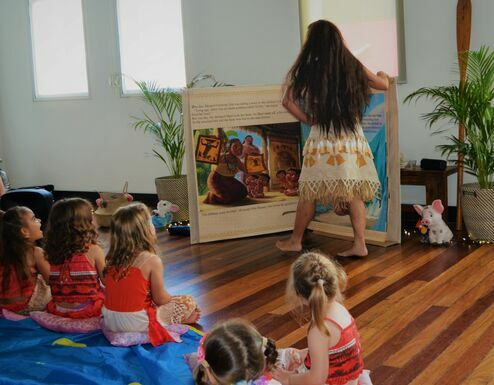 We offer programs for Pre-School, Primary and Secondary levels addressing a range of cultural curriculum areas including hula dancing, Polynesian history, and traditional crafts. In addition to program fees stated, an additional travel fee may be charged for schools located outside the metropolitan area to cover additional accommodation and transportation costs for our pe‍‍‍rformers. Intercultural Understanding is a General Capability in the Australian Curriculum in which students learn to recognise and value their own cultural perspectives with those of others, develop respect and empathy for diverse cultural practises, and reflect on intercultural experiences critically. 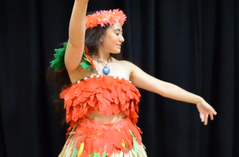 - GEOGRAPHY, HISTORY AND HASS: Students learn about the lives, places, values, cultures and beliefs of different Polynesian cultures. By exploring the exploration of the Pacific Islands and Australia pre-colonisation from Indigenous ancestors, national identity and cultural heritage students discover the value of cultural diversity and learn to communicate across cultures. - THE ARTS: Through engagement with art forms from culturally diverse sources students appreciate and consider different identities, practices and perspectives. Students explore their own positions as audiences, artists and performers exploring new sounds, images and beliefs. This 1-hour lecture styled presentation will introduce to your students the discovery and colonisation of Polynesia using the film Moana as a platform to introduce "The Long Pause" in Polynesian history. This lesson is best designed for students aged 12+ and best suited to a classroom setting. Your teacher will help with a number of arts and crafts including painting your own coconut warrior, basket weaving, making your own lei and creating your own Heart of Te Fiti necklace. Moana can teach up to 3 classes at a time in a 30 minute hula crash-course‍‍‍. In between dances Moana will teach children about Hawaii and prompt question time to answer any questions the children may have.